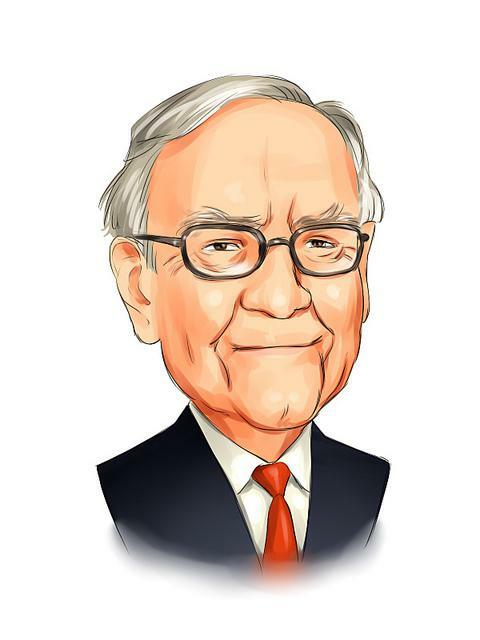 Warren Buffett’s success in the stock market using a common-sense approach is no secret. Nor is his enormous wealth he has accumulated through Berkshire Hathaway, the holding company of his middle-American companies, which he acquired in 1965 as a former textile and garment manufacturing company. 1. Simple logic does it. Anything that is used daily and entrenched in the economy is represented in the portfolio of Berkshire Hathaway. For instance, energy, retail, finance, utilities, insurance, manufacturing and railroads are industries which are essential to the ordinary consumer. More so with “grocery cart” brands which represent timeless needs and which Buffett translates into long-term, consistent values. Moreover, Berkshire Hathaway interests also include Duracell battery, GEICO insurance and Wells Fargo finance. For Buffett and his workers, if you use it often enough, why not own a part of it? 2. Character has real value. LouAnn Lofton, who wrote “Warren Buffett Invests like a Girl and Why You Should, Too”, says that Mr. Buffett invests only in companies whose management he likes and trusts. According to her, how the management treats its stakeholders and the public, in general, and how the public perceives the management as well, provide solid indicators of the excellent performance of the company. That company deserves an investor’s trust and investment. 3. Determine Core Value. Roy Ward, chief analyst of Cabot Heritage Corporation in Salem, Massachusetts, criticizes firms which often complicate their financial reports with one-time “extraordinary expenses”. Although you may not have the many analysts that Buffett has, Ward says that you can still detect the indicators of core value. She defines “core asset” as one which you would buy, be it a firm engaged in real estate or intellectual property. She advises the investor to monitor the “book value per share” of a company which represents the core value of the company compared to the current stock price. 4. Headlines are undependable. BAM Alliance director and author, Larry Swedroe, who wrote “Think, Act and Invest like Warren Buffett”, says that there is no lasting value in trusting what the financial headlines proclaim. He says it is better to walk a few steps ahead of the headlines. According to Swedroe, while it is difficult to predict what the market, the Federal Reserve and the government will do, any investor can tell that the government will act to stabilize the economy. Based on that general knowledge, the opportunities will come. 5. Learn fundamental performance metrics. Ward says that once you grasp the book value of an asset, determine how much the firm makes on its assets. If you are Buffett, you would want at least 20% return on the assets which eliminates so many companies from the picture, Ward adds. Likewise, monitor the trend lines, looking for firms that made 10% in the past and now makes 20%, as that indicates good performance. Why that is so is something you would want to know -- what Buffett is also interested in. 6. Be Patient. If you know of companies that fit Buffett’s targeted investments choices, keep your eyes on them, Ward advises, in order to see how they fare in the market and how their stock price is valued. If a firm consistently makes money but its stock price does not keep up with its book value, then you have a potential asset to buy and hold. 7. Opt for the long-haul. Lofton says that buying and holding eventually builds wealth although majority seek to gain over a short-term range. Buffett, according to Lofton, has his eyes on the everlasting results, which she describes as seemingly “lethargic or slothful”. She advises that for the rest of us, holding on for five years is enough. Statistics prove that it takes that long to complete a market cycle, she adds. 8. Monitor Buffett’s reports. In general, corporate annual reports are known for their slanted and toe-the-liner statements. Berkshire Hathaway reports, on the other hand, are simple and unpretentious. This is because Buffett tells his story in plain English, narrating what he and his team did, how they did it and why, keeping the reader interested. 9. Invest in index funds. In case the previous steps seem to require too much work, Buffett recommends buying index funds, according to Swedroe. This is because investing in index funds allows an investor to overtake majority of stocks and industries.